WestEd partners with districts and schools nationwide to provide comprehensive transformation services aimed at achieving sustainable improvement in the face of the most far-reaching reform initiatives in United States history. 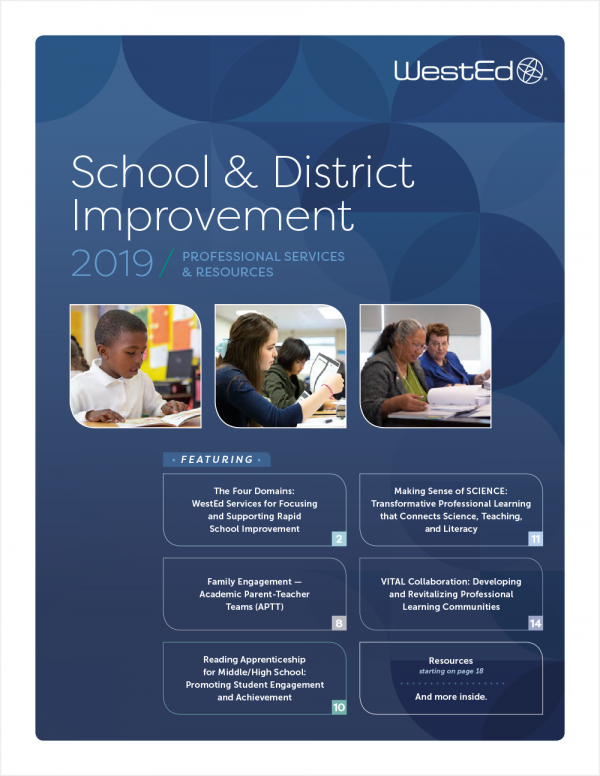 Whether your district or school is seeking comprehensive improvement support or has decided to focus on just one or two areas of need, WestEd can help. 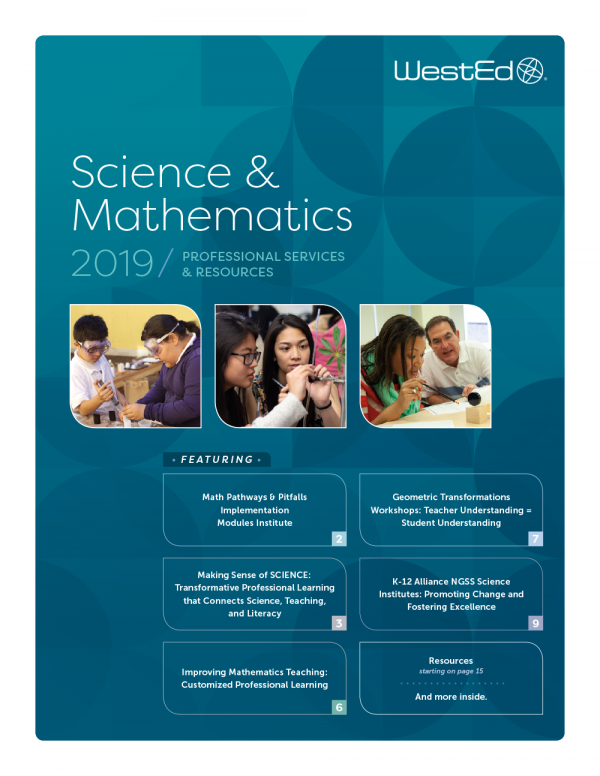 This catalog describes a range of customizable service clusters, each conceived to address a common challenge in today’s K–12 education endeavor. 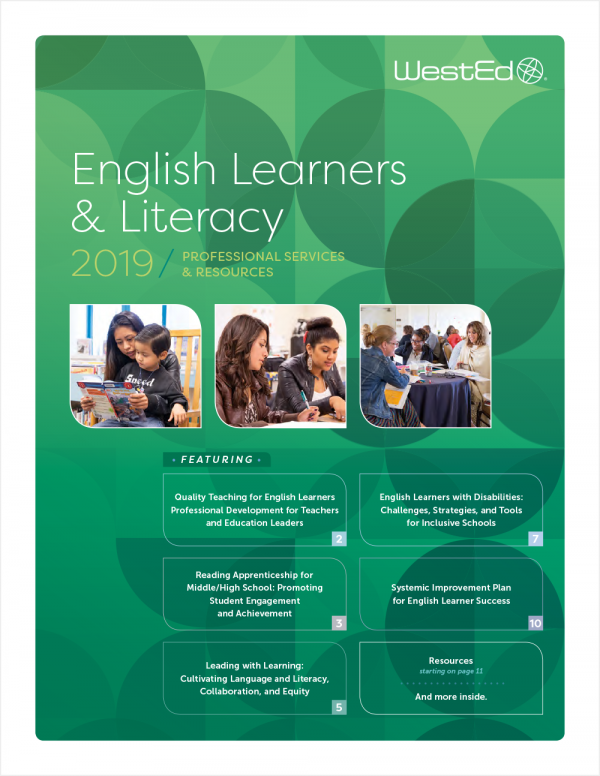 This catalog also presents an array of improvement-oriented publications and other resources that can be used either on their own or as supporting material with our services. 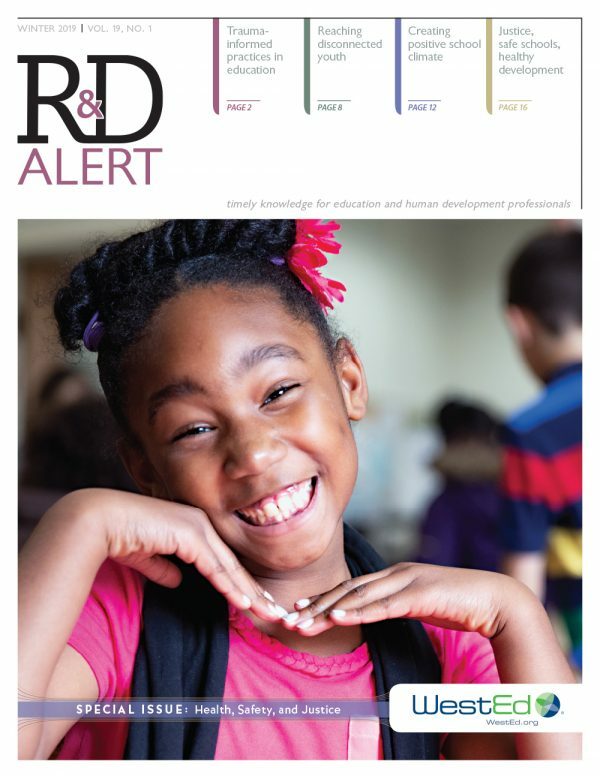 Trauma-informed practices, school climate, and work related to health, safety, and justice are highlighted in this issue of R&D Alert.